hop this month Papertrey wants to see our favorite take on flowers. 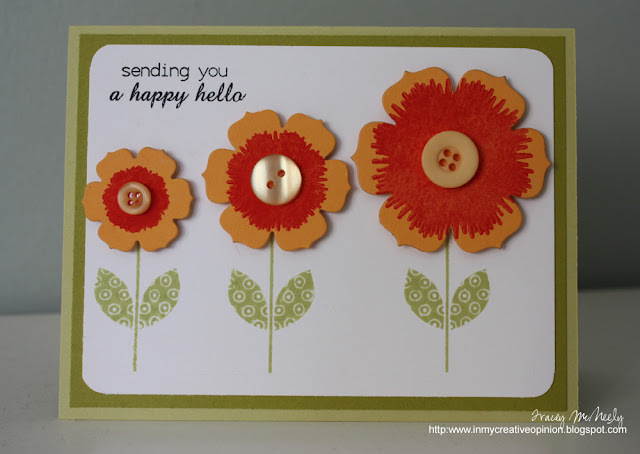 So many possibilities with flowers, here is my take on this month's blog hop. 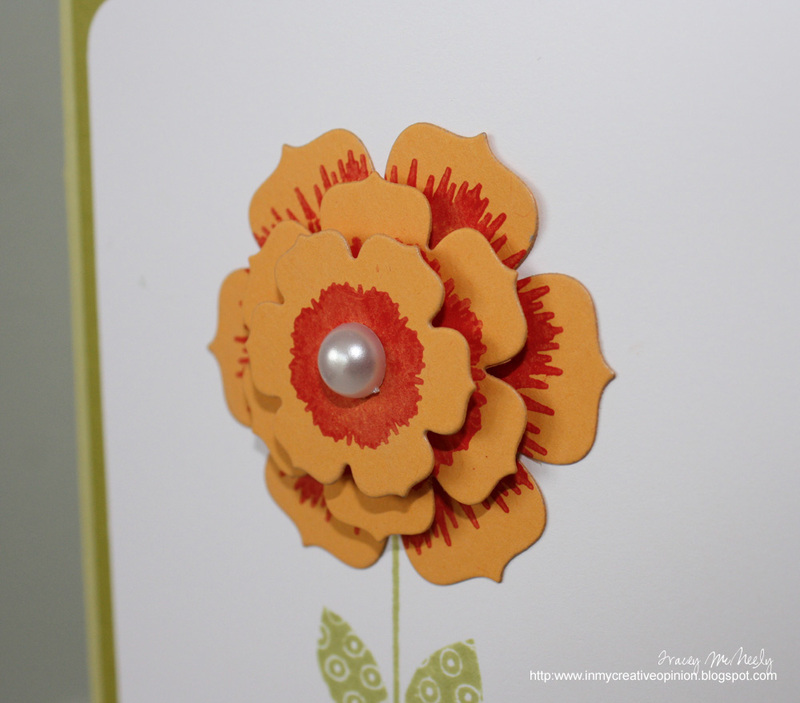 For my card I die cut all three sizes of Beautiful Blooms on Summer Sunrise cardstock. I then stamped the three sizes of blooms from Sending You in Terra Cotta Tile ink. 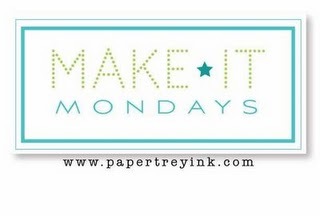 I layered Chartreuse and white cardstock over a Spring Moss Base and rounded the corners of the white. Then I stamped the stems from Flower Fusion #1 in Shabby Shutters Ink. The flower tops were added with foam tape and embellished with a Harvest Gold button. 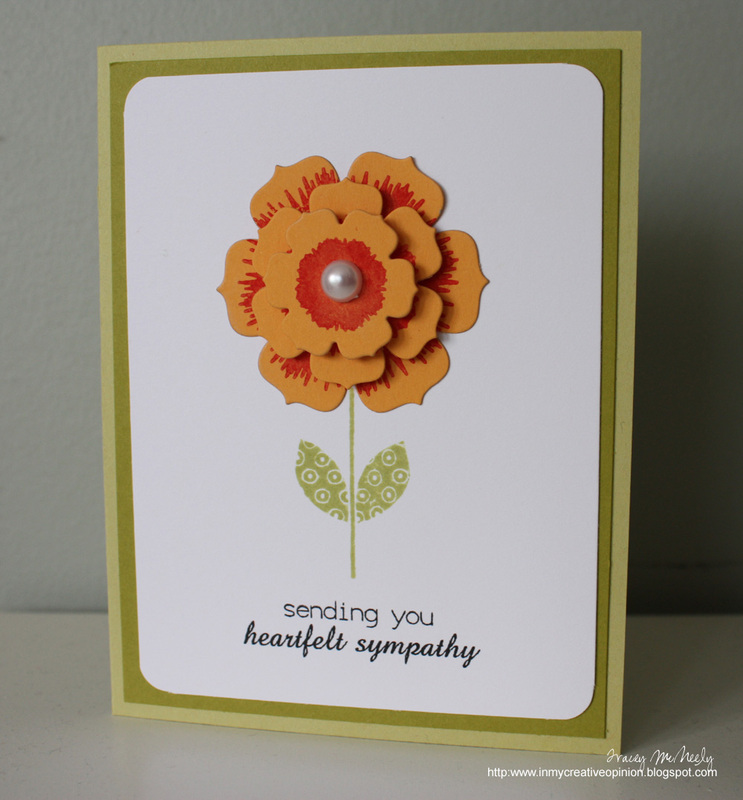 This weeks Make It Monday challenge was to create a tasteful and thoughtful sympathy card. My creation today was creatign while creating my card for this month's Blog Hop. I used the same colour scheme and stamp sets. 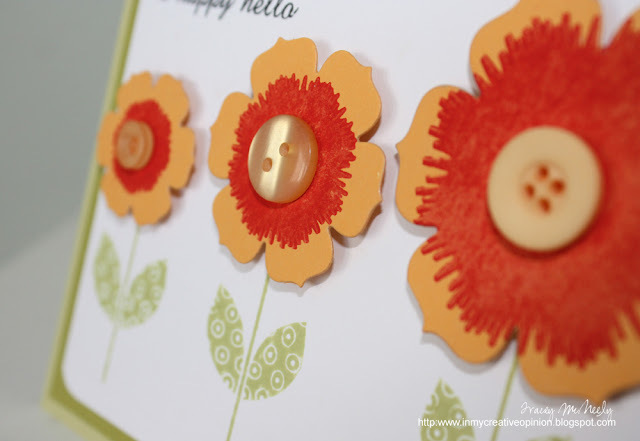 The flower embellishment was made by die cutting the three sizes of Beautiful Blooms, stamping them and then layering them. Finally I topped them off with a pearl. Have you picked up Card Creations 9 yet? I am enjoying this issue so much, full of inspiration. I admit that I am a magazine junkie, but like everyone else I have been trying really hard to be a good girl and only buy when I see value. Card Creations 9 is worth the $14.99 price tag. 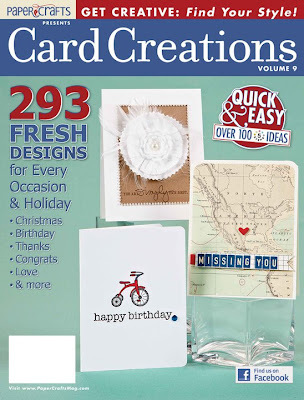 It is loaded with gorgeous cards and inspiration for all occassions. I needed to make a 30th anniversary card for my sister and her husband. 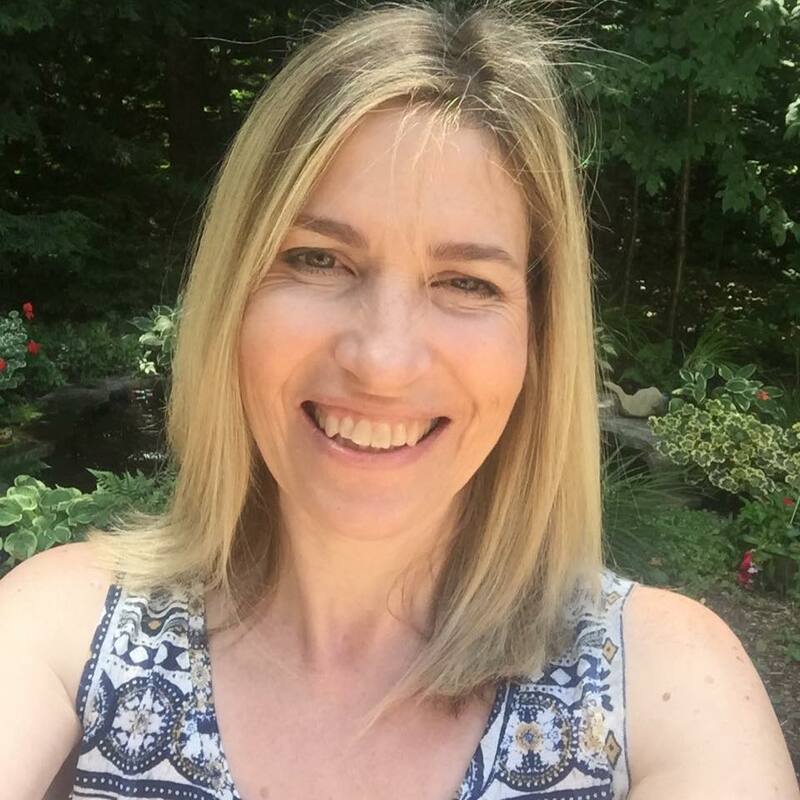 So as soon as I saw Betsy Veldman's 25th anniversary card on pg. 22 of the magazine I knew that was the card I had to make. I love Betsy's work, I find her so inspiring. With no time to get the same patterned papers I went into my personal stash and recreated the card with what I had on hand. So thank you Betsy for this card inspiration which I basically copied. ﻿The scalloped circle was attached with foam tape for dimension. I don't have any numbers in my stamp collection but I did find a sheet of October Afternoon Market stickers that co-ordinated with my colour scheme. Number stamps now on my list! 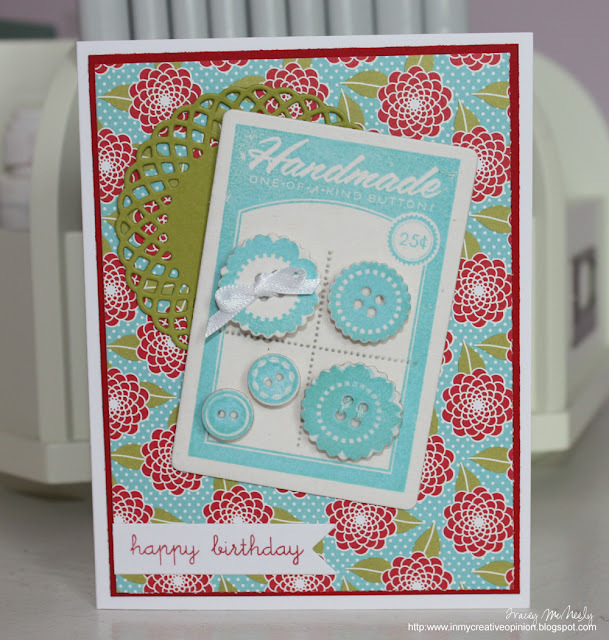 I made this card for my sister's birthday using Papertrey's Button Boutique. Such a fun set to play with. I plan on making a lot more button cards to have on hand for quick cards. 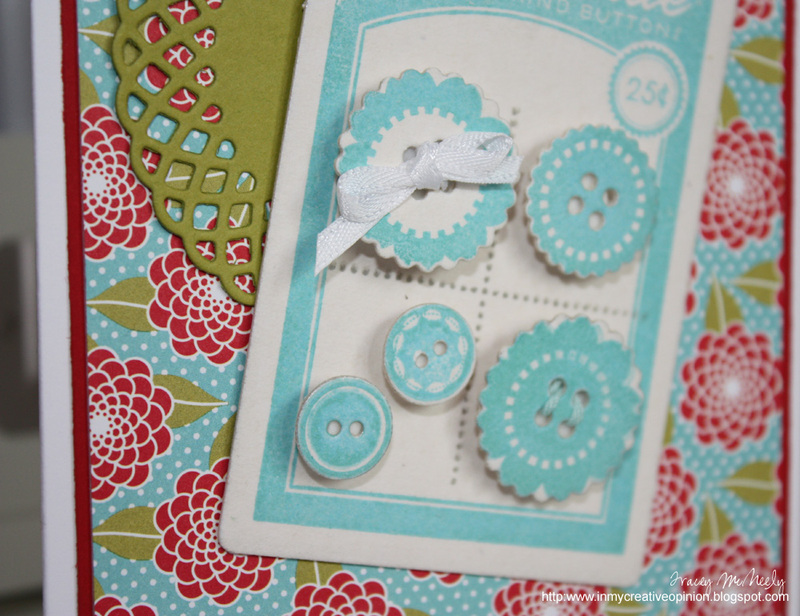 The button card and the buttons on the card were die cut from coaster board and stamped with the Button Boutique stamp set in Hawaiian Shores. My cuttlebug had a tough time getting through the coaster board for a clean crisp cut. With my daughters help we got it through. All were mounted with foam tape for dimension. It's finally here, the May 2-4 weekend! Although I wish the forecast was for sun and hot all weekend, just a chance to chill with my family is good enough for me. Enjoy. After two years I finally purchased the Papertry Ink Tea for Two stamp set. Along with it the Teapot/Label die. This is the set that I am using to create Mother's Day cards for my mom and my mother-in-law. An easy task for a Friday afternoon when there wasn't much on my plate. That is until I started inking up my stamps that is. I had a blast! I had to test all the stamps. 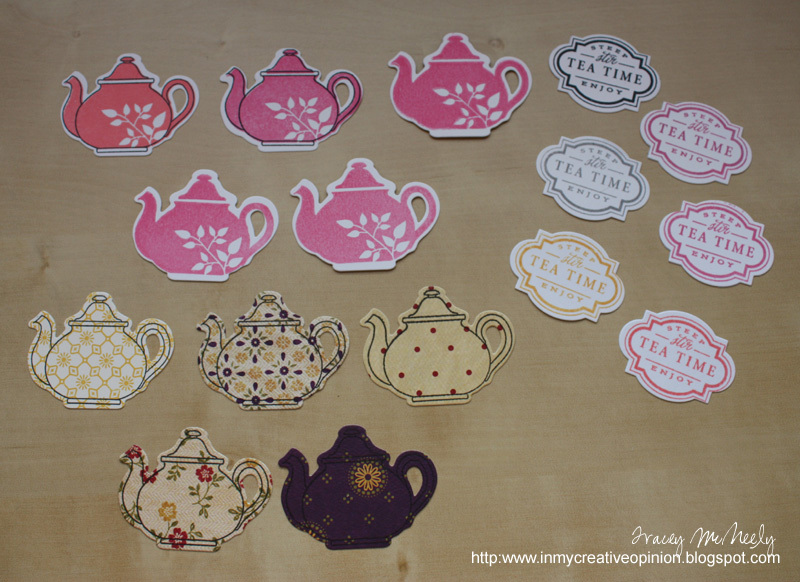 I started just stamping teapots, then I die cut teapots and stamped on them, then I die cut some of the already stamped images (I had been wanting to try that), then I stamped the outline image onto already stamped and die cut teapots, then I stamped the labels on some die cuts, them I die cut some teapots using vintage looking patterned paper and then stamped the outline image on to those. Can you say squeal with delight? By that time I had to get on with the real world and say bye bye to my studio. Up at 6:00 am this morning for my daughter's dance competition. Two golds!! Woo Hoo! and now I am back still needing to turn my teapots into fabulous cards. It is 11:00 pm and they are done.